Discover where you should go for the 10 best downtown Minneapolis happy hours, including Brit’s Pub, Union, Seven Steakhouse, and our own Cafe. Every year, Karwoski & Courage devotes one week to participate in activities to refresh our creative juices, get us thinking differently, and keep us sharp. 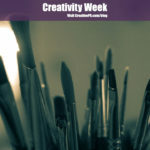 We call it Creativity Week. To celebrate the 25th anniversary of Karwoski & Courage’s existence, we give you The Big Karwoski! Happy Halloween From Karwoski & Courage! A visual story that explains how we have a happy Halloween at Karwoski & Courage. Karwoski & Courage’s hand-picked list of the top 13 Halloween songs for your spooky listening/viewing pleasure. Ten must-read book recommendations from Karwoski & Courage staff. Karwoski & Courage’s annual outing to the Minnesota State Fair, in words, photos and video. By successfully pitching a business or product to a local or national television program, you are ensuring that your message is heard by thousands of people in a dynamic and inclusive way. Free cool stock photos: Death To The Stock Photo site is leading this charge to rid the world of awful, cliched stock photography.